Zombies have been big for a while now in board games, but Zombicide has been one of the the most popular (along with Dead of Winter). It seems like a lot of the zombie board games out there were just made to fit inside the popular genre, but Zombicide brought a fresh new way to look at zombies in board games. Zombicide is a co-op board game that has players take on the roles of survivors. Each survivor has a different set of skills that can be used to defeat the the zombies. Working together to stop the undead is the only way to win. You can play ten different scenarios on different maps in Zombicide, and more can be found both online and in the game’s expansions. Every Zombicide campaign is a little bit different than the others, which adds to plenty of replay value to the game. Each of the Zombicide characters have a unique set of skills that can help them and their teammates survive. The first player may play up to three actions during the course of a turn. This will increase to four actions later in the game. They can choose from move, search, open a door, combat or take an objective. Once all the players have had their turn, it’s the zombies’ turn! Any zombie on the board will either move or activate. If they move into a zone where there is a survivor, they bite them. The wounded survivor then takes a wound card and loses an item. If the survivor gets two wound cards, they die. The zombies also draw a spawn card, and each spawn zone will spawn zombies based on the number on the card drawn. The nearly constant onslaught of zombies in Zombicide is intense and so much fun to deal with. We love survival games that make us feel desperate to make correct decisions, and we definitely feel that way while playing this game. The cooperative mechanisms in Zombicide are also excellent. The characters can use their weapons and other items to distract the zombies in order to help their teammates out of tough jams. This interactivity is exactly what co-op fans hope for in their board games. The designers did an excellent job of making the zombie theme pop out of the boards, cards and the well-designed miniatures. The colors and the artwork have a very post-apocalyptic feel to them. It almost feels like a board game version of the video game Left 4 Dead, which is amazing! Learning how to play Zombicide is made a bit more difficult because of the rulebook. It is tough to follow because some parts of the game aren’t even included (we had to look a few things up online). We also wish that it had come with an index since there are plenty of rules that you have to remember. Most of the missions are amazing, but a couple of them are way too easy (I’m looking at you, Scenario #2!). You can always do what we did, though, and ratchet up the difficulty by adding in more zombies. The few issues we found while playing Zombicide are small in comparison to the overall gaming experience, which is fantastic. Every Zombicide campaign that we played was a ton of fun and different than the last, so we think most board gamers will have a great time with this one. 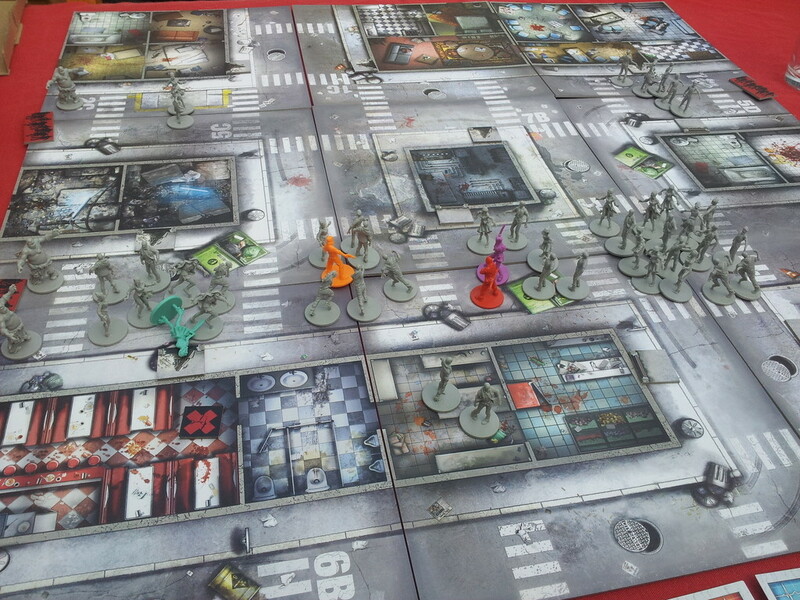 We can definitely see why it is the most popular zombie board game in the world right now. Fans of The Walking Dead, Z Nation, Left 4 Dead, or zombies in general will truly love this game. Heck, even people who just like unique cooperative board games will get a kick out of this one (as long as they don’t hate the zombie theme). Be patient with the Zombicide rulebook and take your time with the learning curve when you first start out and you will find it to be a really great game that has a huge amount of replay value. 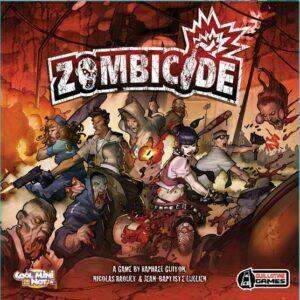 You need to enjoy working with teammates, though, because it is the only way you are going to survive Zombicide! Thanks for taking the time to read our Zombicide base game review!